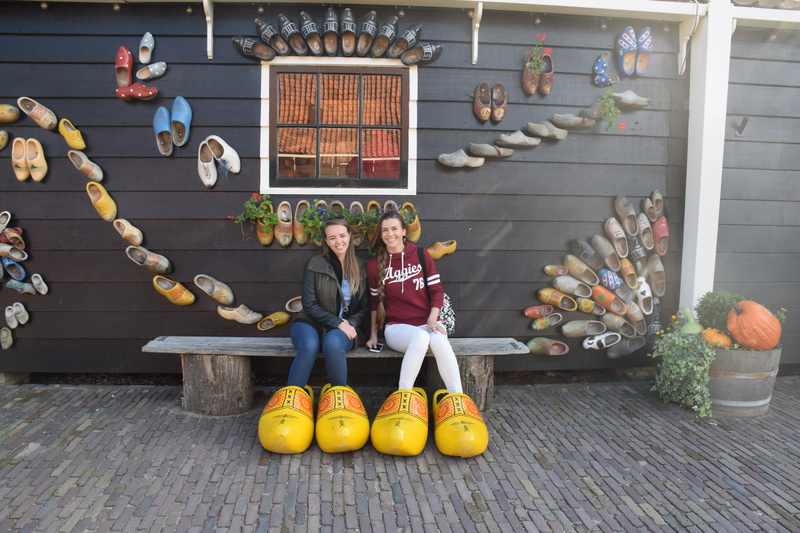 We wandered through into the village, where we were greeted by a small clog factory. 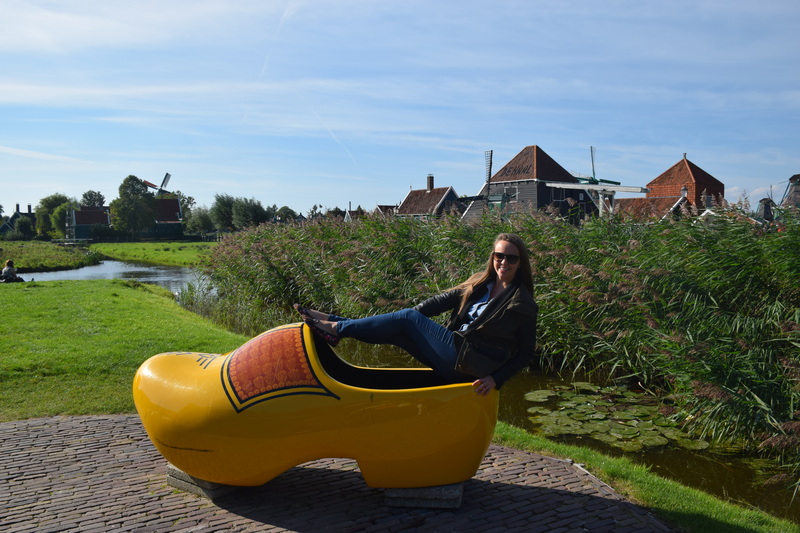 After taking a few pictures outside (who can resist giant clogs?!) 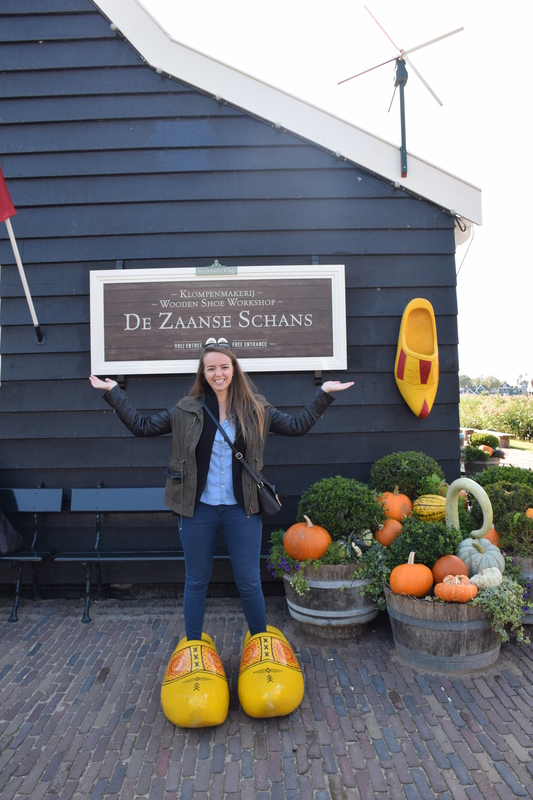 we had a look around inside to see how the clogs are made. 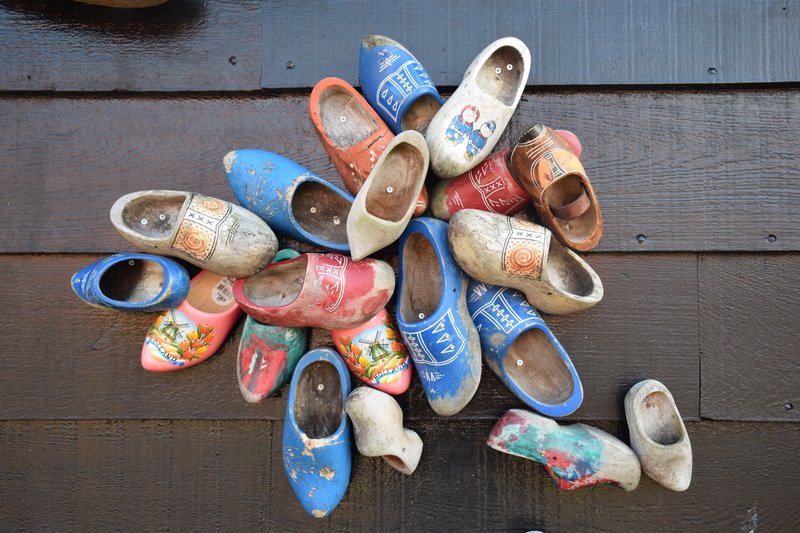 There were so many beautiful intricately carved wooden clogs, and I bought a little miniature pair as a magnet to add to my collection, which is slowly taking over the entire fridge! 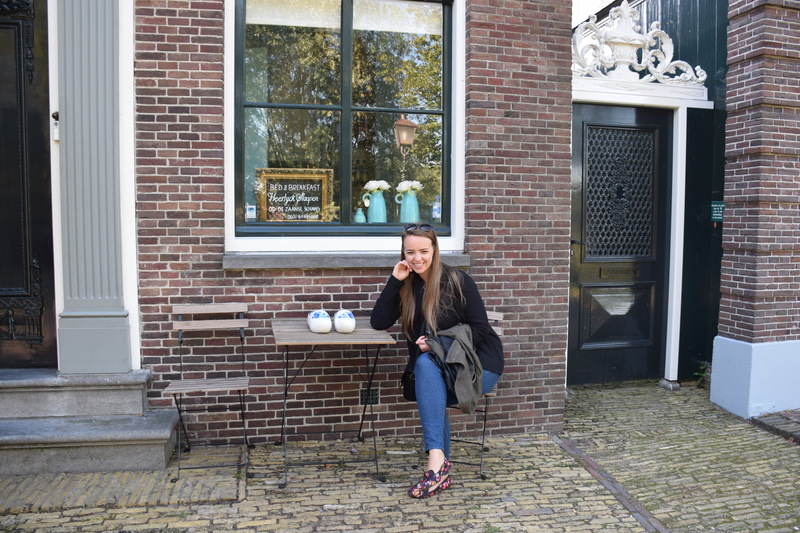 The path took us through the winding cobbled streets, and we passed by little shops selling everything from antiques, to chocolate and cheese. We couldn’t resist trying all of the cheeses (although they were far too overpriced so we made plans to go to the supermarket the next morning to pick up our favourites!) 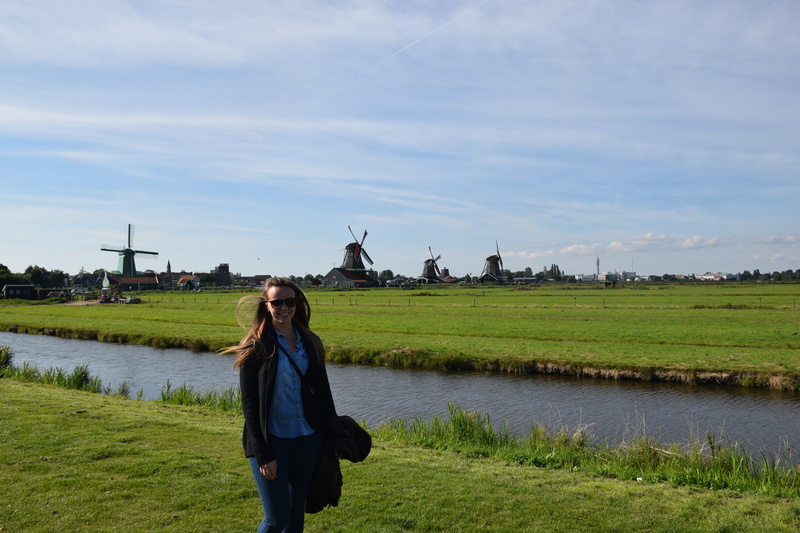 and of course stopping to admire all of the windmills. 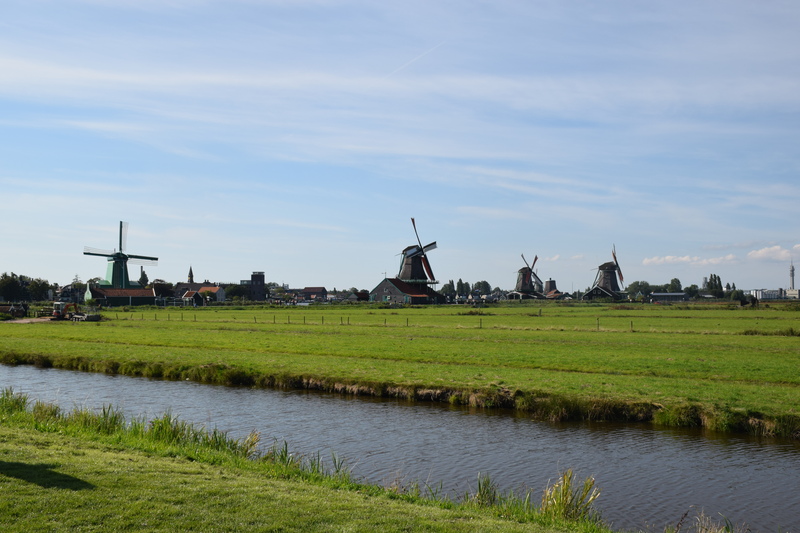 Unfortunately as we’d arrived quite late in the afternoon, most of the windmills were already closing up, which meant we couldn’t go inside them. Nevertheless we managed to get a good look from the outside. 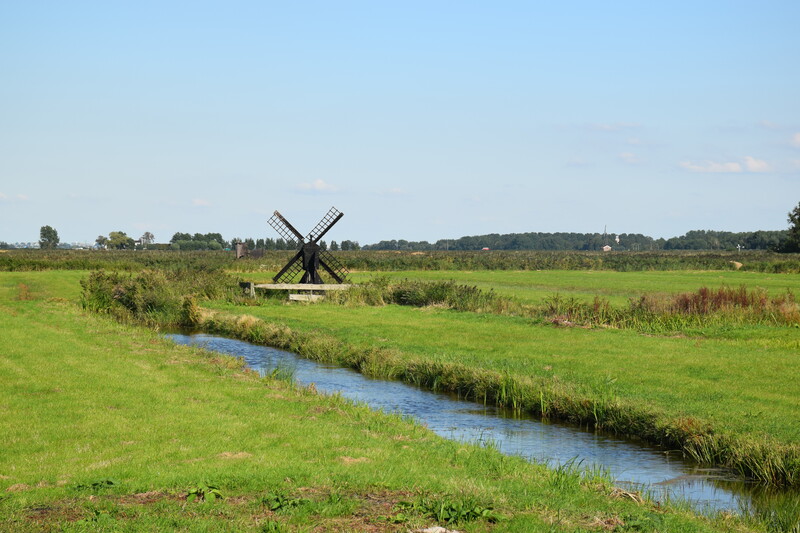 The village is actually split by the River Zaan, however it is pretty wide and we decided not to cross over to the other side. 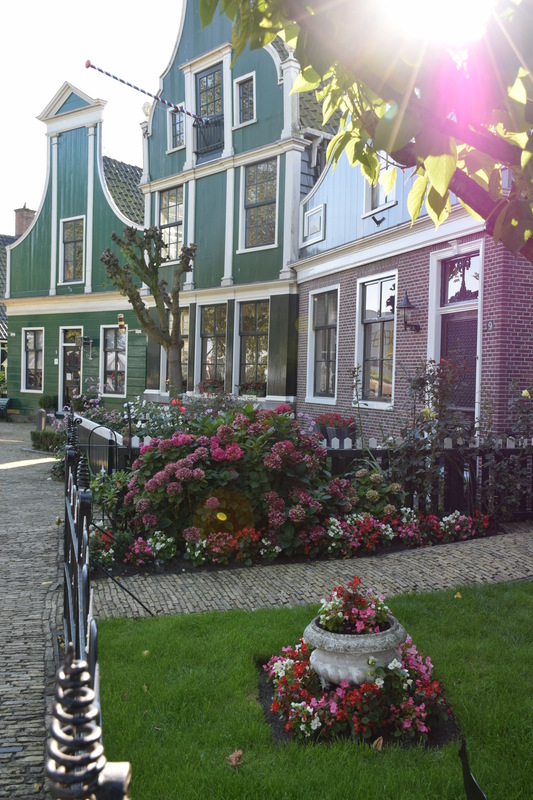 From what we could see it looked like there were lots of beautiful houses with gardens backing right onto the river. Dreamy! Since none of us had eaten since the flight hours earlier, our stomachs were starting to rumble. 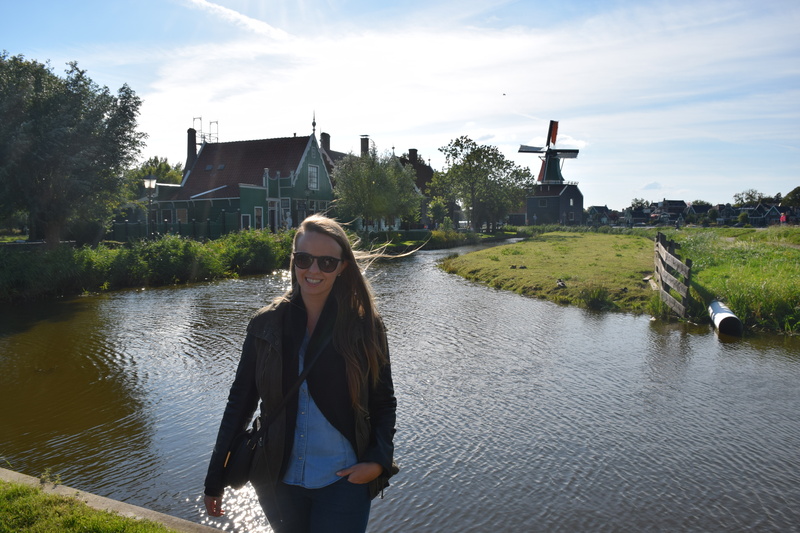 Whilst travelling to Zaanse Schans on the bus we’d spotted a pretty little cafe on the water, and made it our mission to find it! 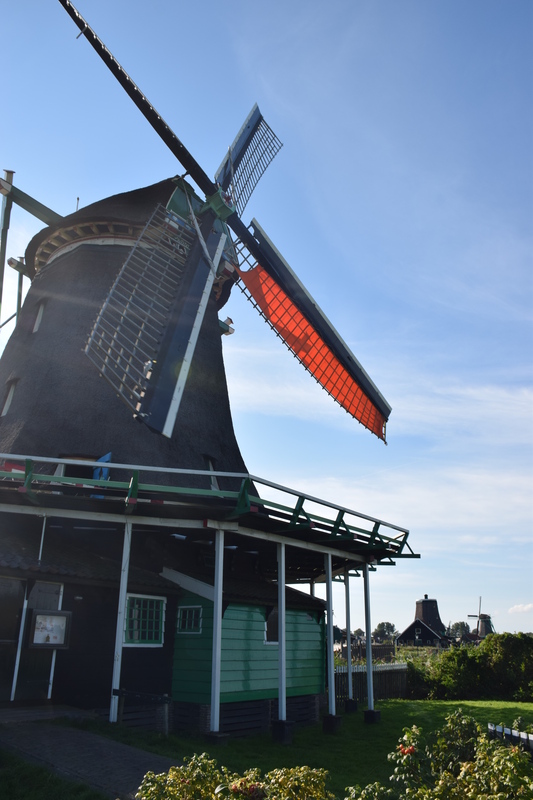 Zaanse Schans does actually have a restaurant and a couple of cafes but they were very touristy and overpriced. 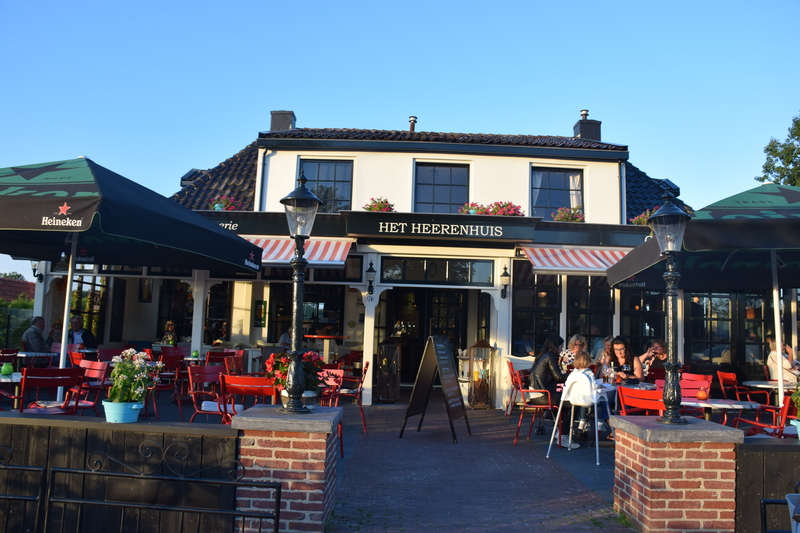 We asked one of the ladies working in the souvenir shop if she knew which cafe we were trying to describe, and she said it should be around a 20 minute walk. Perfect! Heading in a straight line along where the bus had taken us, we soon arrived at our dinner spot, and promptly ordered the meat and cheese platter we’d spied on the table next to us! 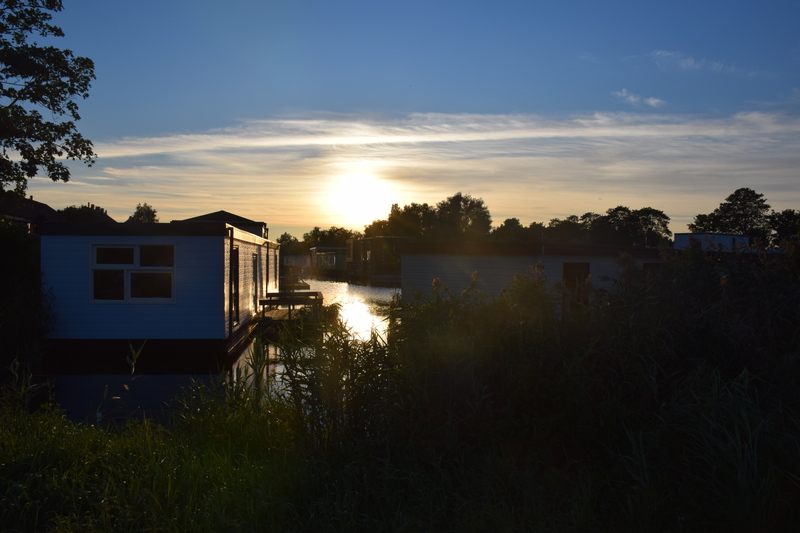 And of course a delicious glass of crisp white wine to enjoy in the evening sunshine didn’t go amiss! 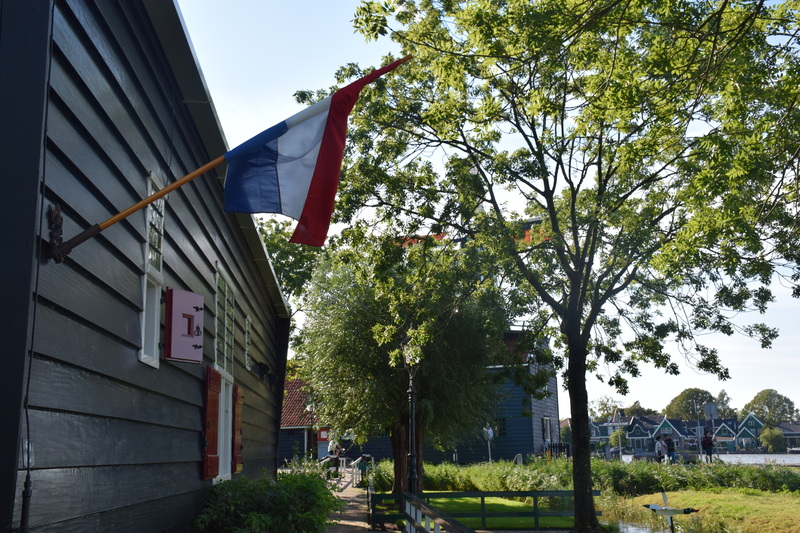 If you’re ever planning on visiting Zaanse Schans, whatever you do make sure you walk the 20 minutes to this gorgeous little restaurant, sit outside on the terrace (where you’ll probably be the only non-local!) and order whatever you fancy, as it’s all delicious! 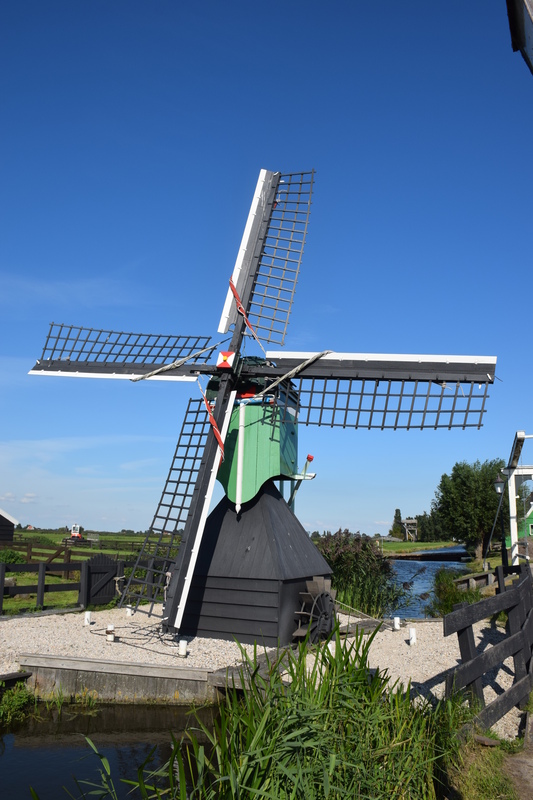 It was the perfect dinner spot to round off our lovely afternoon visiting the windmill village. 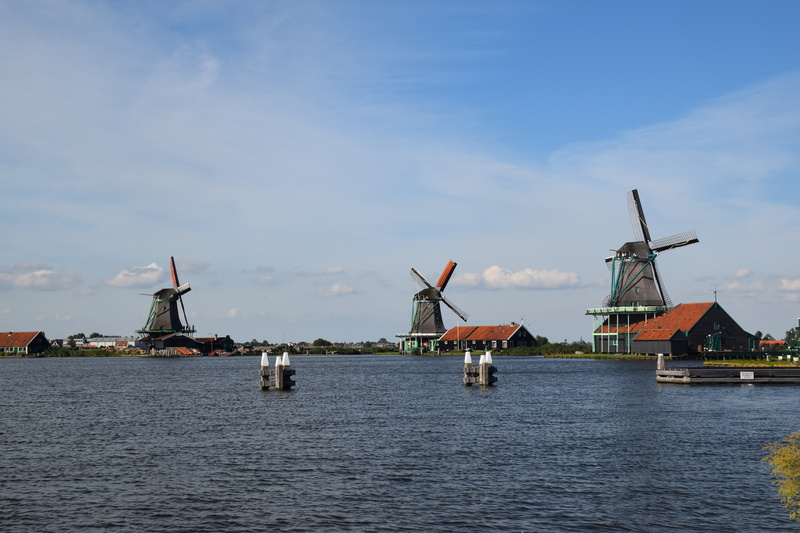 If you’re looking for something a bit different to do whilst on a layover in Amsterdam – go for it! 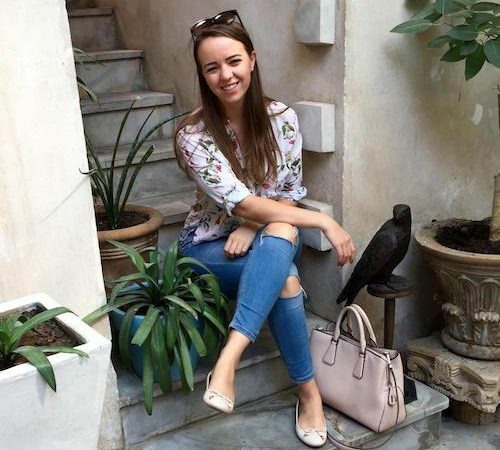 hiya- can you advise the best way to apply for cabin crew positions? And which airlines would you recommend? Well it depends really on you – my airline is based in Dubai so you would have to relocate to the Middle East, some other airlines have bases all over. Just check out the website of any that you’re interested in and see when they are holding open days! I wish I could fly too and travel to places I’ve never been before. I love this post!! It makes me miss home so much haha.